The Parkers Car price Guide magazine makes an essential tool while purchasing or selling a car. The Parkers Car price Guide magazine has an invulnerable list of car prices. Old or new; vintage or luxury, parkers Car Price Guide will have the details of all the cars irrespective of model and brand. The magazine in its concise and handy format serves as a ready reference to be referred by buyers and sellers of the car. Each issue of the magazine has the most updated information of all the listed cars with complete details of make and model along with other technical details. 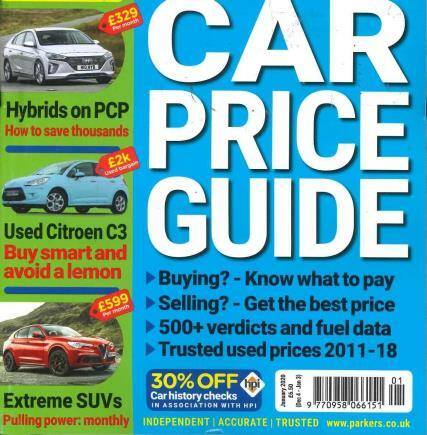 The Parkers Car Price Guide magazine was first produced in 1972 and since then it has excelled to be UK’s best selling and buying guide for new and old cars. The magazine also features a separate listing of used and second hand cars covering the complete profile and condition of the car.